Stanley Kubrick’s mind bending 1968 film 2001: A Space Odyssey is the kind of movie where you can examine practically every single frame and endlessly debate each element. People have been doing it since day one. It already clocks in at well over two hours (damn near three), but if the notoriously meticulous filmmaker had followed his original plan, it could very well have been even longer. With a rerelease currently showing in the U.K., some details about the initial prologue have surfaced and are making the rounds. The Guardian published an article that explores the intro that fans never got the chance to see included in the movie as part of the British Film Institutes “Days of Fear and Wonder.” Unfortunately this is footage doesn’t exist anymore, lost to the ravages of time, but it apparently featured a bunch of scientists sitting around and talking about “aliens, evolution, and space travel,” among other topics. 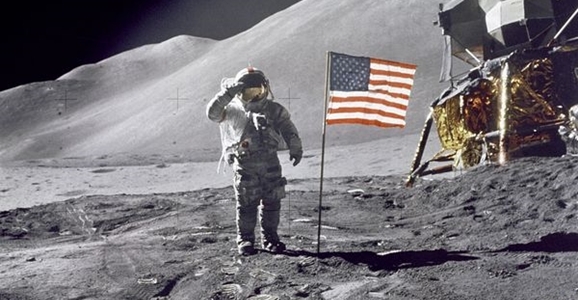 With Interstellar on the horizon, creeping nearer each and every day, space is on a lot of people’s minds right now. 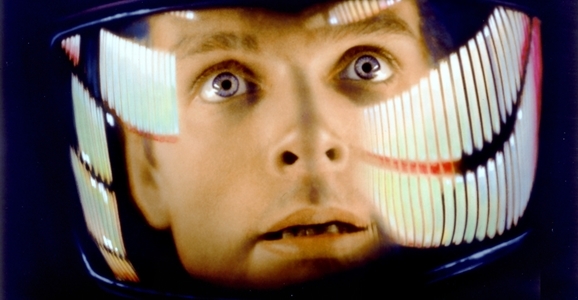 One of the titles often thrown around in comparison to Christopher Nolan’s film, including by the director himself, is Stanley Kubrick’s philosophical, mind-bending genre classic 2001: A Space Odyssey. This is a movie that has been a staple of repertory and midnight programs damn near since it premiered in 1968, but now it’s getting a new theatrical release. There’s a catch, however, you have to live in the U.K., because that’s where this is happening. Lucky bastards. But still, we have the first new trailer for 2001 in a great many years, and it is just as epic as you remember and imagined. All of the high points are here in this video. You have the monolith, HAL 9000, those angry apes, Strauss’ “Also Sprach Zarathustra,” and the usual visual smorgasbord you expect from 2001. It’s hard not to watch this and be stirred at least a little. This is the first thing that comes to mind when I think of the idea of an epic movie, it’s so sweeping, so big, so jam packed with ideas and themes. As the Nolan quote says, there’s only one Stanley Kubrick, and there is a very good reason we don’t have any other movies like this one anywhere in the world. 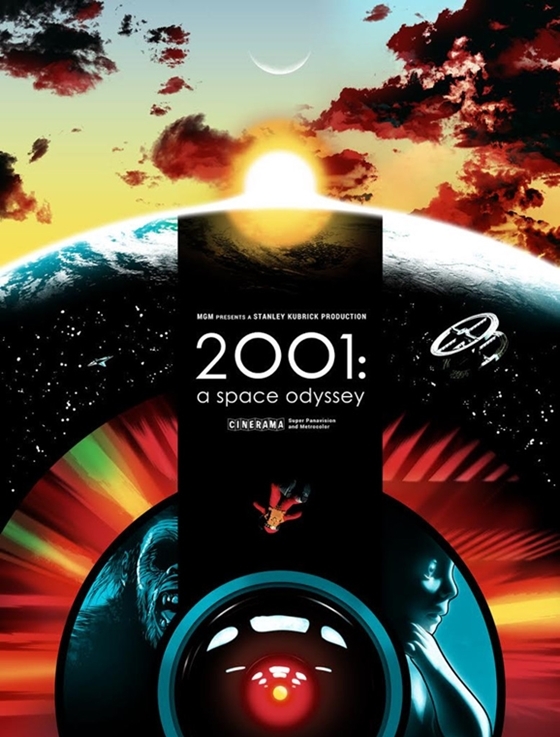 Stanley Kubrick’s 1968 classic 2001: A Spacy Odyssey is a dense, esoteric, philosophical mind scrambler of a movie that people continue to debate the meaning of even decades later. Books, many of them, have been written about this film, from just about every angle imaginable, but one question remains, can you distill the essence of the movie down into 60-seconds? Well, this new video attempts to do just that. You’ll have to judge for yourself if they’re successful or not. The answer to this question, which you probably gathered for yourself, is that they don’t really pull this off, but you didn’t really expect them to, did you? But that doesn’t mean this quick animated video isn’t without a certain set of charms. This is the 13th episode from 1A4STUDIO’s Speedrun series, where they recount the entire story of a movie in a minute or less. Some installments work much much better than others, and with a movie like 2001, it’s not an easy feat to accomplish. Hell, HAL 9000, one of the most terrifying antagonists in all of film history, is barely anywhere to be found in this video, and that’s a bummer.